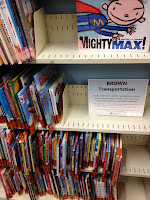 For this, my 100th blog post here at the Show Me Librarian, I want to share with you my branch's new picture book setup. Let's start back in June in Anaheim. I was at the 2012 ALA Annual Conference, and I was sitting in a program called "I WANT A TRUCK BOOK! 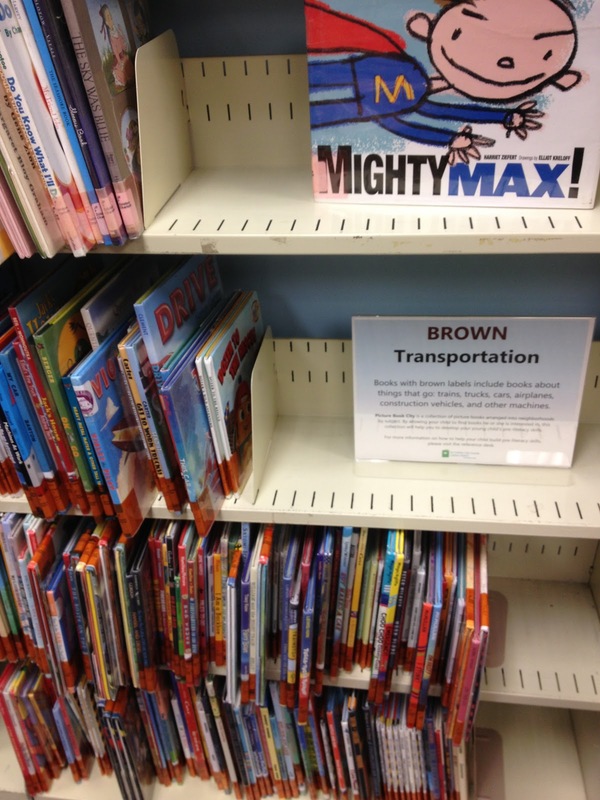 Reorganizing Your Picture Book Collection to Meet the Needs of Young Patrons and their Caregivers." Gretchen Caserotti, she of Darien Library and LJ 2010 Mover and Shaker fame, was the first speaker, and she talked about her library's wildly successful reorganization of its "kidlit" collection--picture books for the under-5 crowd. It's safe to say that I was greatly intrigued by what Gretchen said. 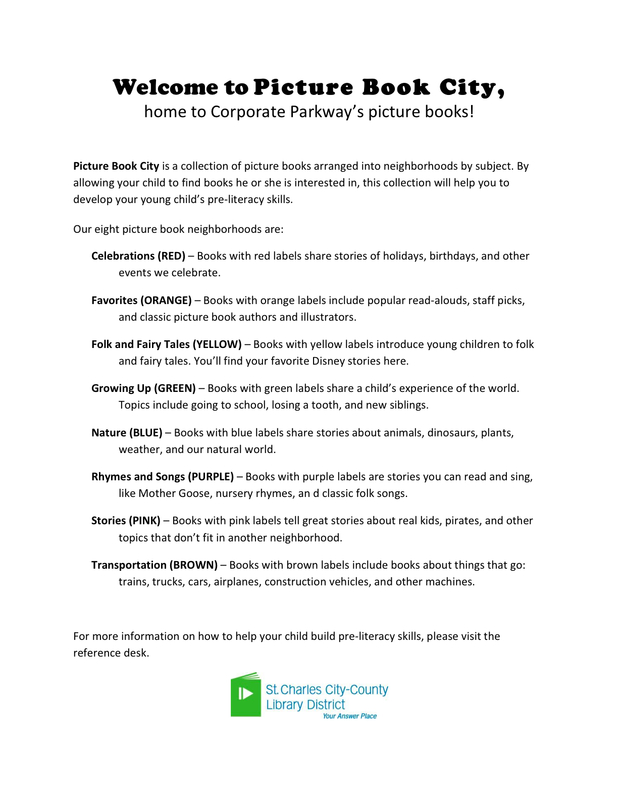 Organizing picture books in a manner that empowers both kids (i.e., pre-readers) and caregivers to really use the collection? YES! Where do I sign up? Picture Book City following the reorganization. I came back from Anaheim completely invigorated and full of excitement at the potential of reorganizing the picture books in my branch. I took a few days to work out the details of how I would proceed, and then I explained the concept and project plan to my branch manager. She agreed to let me shake things up after only three minutes of conversation--I never even had to break out my persuasive statistics. The next few months in the branch were spent a) confirming the categories we'd break our picture books into, and b) giving picture books a colored sticker to correspond with their category. Volunteers were a huge help in getting some of the straightforward stickering underway with the help of subject lists; I did the more time-intensive work of opening a picture book, reading enough of it to determine its category, then stickering it. That's how we proceeded until last week, however. My branch was closed Monday through Thursday for some painting and electrical work, but staff were still assigned shifts to work while the public was not in the building. In those four days, thanks to a number of extremely helpful and hardworking staff, we finished our project. Monday and Tuesday consisted of stickering every remaining picture book in one of our eight categories, or neighborhoods as we now call them. Wednesday consisted of putting the books in each neighborhood in alphabetical order (some on shelves, some in piles), and on Thursday we scanned and shelved. 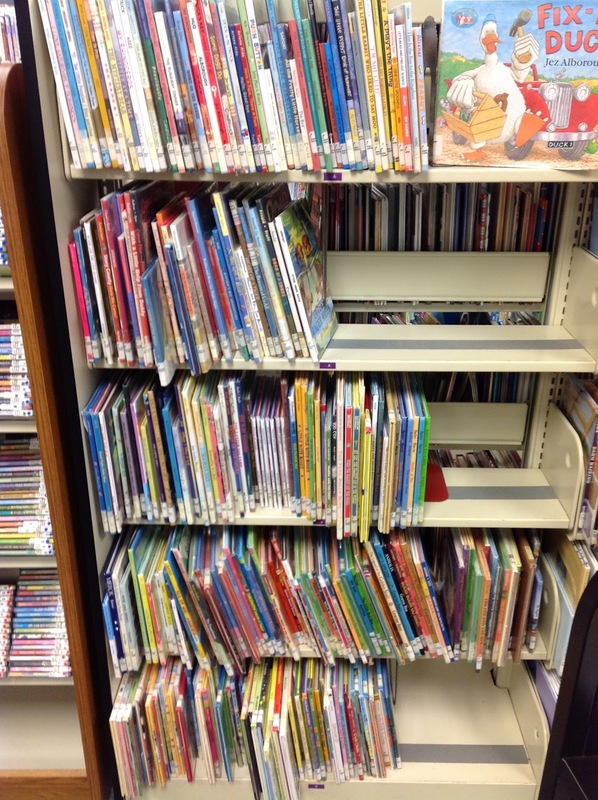 Yes, we scanned every single picture book, then shelved them alphabetically within their new neighborhood locations. That's approximately 8000 books. In one day. With a team of five. I owe them treats. When we opened again at 9 a.m. on Friday morning, our picture books were converted into what is now called Picture Book City (fun wooden sign to come, as soon as I make it). 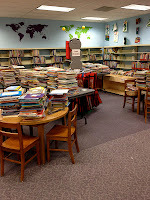 One of my staffers took pictures of our C-shaped picture book area and stitched them together for a sort of 180 effect; can you see the lovely rainbow? 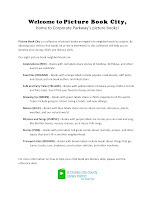 Each neighborhood begins with a sign explaining both the types of books in the neighborhood and the purpose of the Picture Book City neighborhood system. I also made handouts to explain our neighborhood categories. One of my favorite parts of Friday--our first day with the new system, when people could have been really confused or upset by the change--was hearing so many caregivers express how simple and navigable our picture books now are. When I was in the children's section explaining the system to a mom and her son, I asked the young boy what types of stories he likes; he said "trucks," and literally within moments he was able to find all of the truck books. He and his mom were thrilled. These are the reactions I'm getting pretty much across the board. I cannot wait until our story times start again next week to see how our program-goers like it. I'm also looking forward to watching our picture book circulation statistics over the coming months. I'll report back. to buy more. Lots more. I could not have reorganized the picture books at my branch without the support and physical labor of so many branch staff and volunteers. 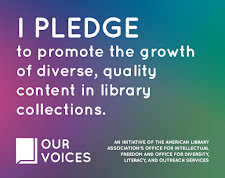 I am likewise indebted to Gretchen and the awesome team of children's librarians at the Darien Library; they planted the idea in my head, let me bounce my ideas for modifying their system off of them, and provided me with much-needed encouragement in the more stressful stages of the process. Because, yes, it was stressful. And yes, it took a while. I shudder to think how chaotic it would have been to finish the reorganization had the branch not been closed. But all things considered, it's worth it. Kids finding books more easily? Oh, it is so worth it. Oh my gosh, I so so love this and the idea. How I'd love to take a walk around those stacks. Way to go! I love this idea, too, but I tend to really overthink it. Tell me, how do you decide how to categorize something like Dinotrain that's about dinosaurs and also trains? Or things like that? That's where I really got to personalize the system for my community--I considered what a child would be looking for and where he/she might look for it. All things considered, we have more dinosaur books than truck books, so I stuck that one with trucks. For me it came down to thinking about what kids ask for most, then trying to meet those needs in a straightforward, easy-to-browse way. Plus, my stickers are removable, so if we decide to change it, we can. Okay, here's another question... On Favorites: do you anticipate changing that section as certain characters fall out of favor? I'm thinking down the line when not as many people are asking for, say, Fancy Nancy. The beauty of our stickers is that they are removable--worst case scenario, pulling off a really stubborn sticker would require new mylar on the book, but every one I've removed so far has come off easily. Thus if we decide to move any book to a neighborhood somewhere down the line, we can. I've thought about that with respect to upgrading an author to Favorites later on, but it would also apply for redistributing current-favorites when they become less asked-for. Hooray for you! Did you guys change the MARC records at all? If shelvers need to pull a title, will they need to check all your neighborhoods if they don't know what the book's about? Thank you! We did not recatalog anything; the only physical addition to each book was a colored sticker on the spine label. In our ILS, we are able to scan items into displays so that a display name is shown as an item's location. In the case of these neighborhoods, and example would be a customer looking for THE VERY HUNGRY CATERPILLAR. When that book is pulled up in our OPAC, it will say that my branch copy is in at my branch and on the JP ORANGE Favorites display (i.e., In at CP; On Display JP ORANGE Favorites). These displays are temporary and have expiration dates; I set mine to expire in 2030. I am so jealous that you could do this without recataloging everything! That is the only thing holding me back from trying this at my library. We should be getting a new ILS in 1-2 years, so hopefully that will be a good time to broach the subject. We have about 5-6k picture books, so a slightly smaller collection than yours. We'd have more but don't have the room so it's very aggressively weeded. While you're waiting, Anne, there is plenty of planning you can do to get ahead of the game. For instance, you can make your list of what authors you will consider "Favorites" (if that's a neighborhood you want to include). You can also start stickering holiday books according to their holiday so that Christmas, Valentine's Day, etc., are easily spotable once all the celebration books are together (again, if you choose to have a "Celebrations" neighborhood). You've got time to really figure out what neighborhoods will best serve your customers. Let me know if I can be of any help! Very good advice, Amy, thanks! Where did you get your stickers from? We use DEMCO Color-tinted Glossy Label Protectors. What ILS system do you use? 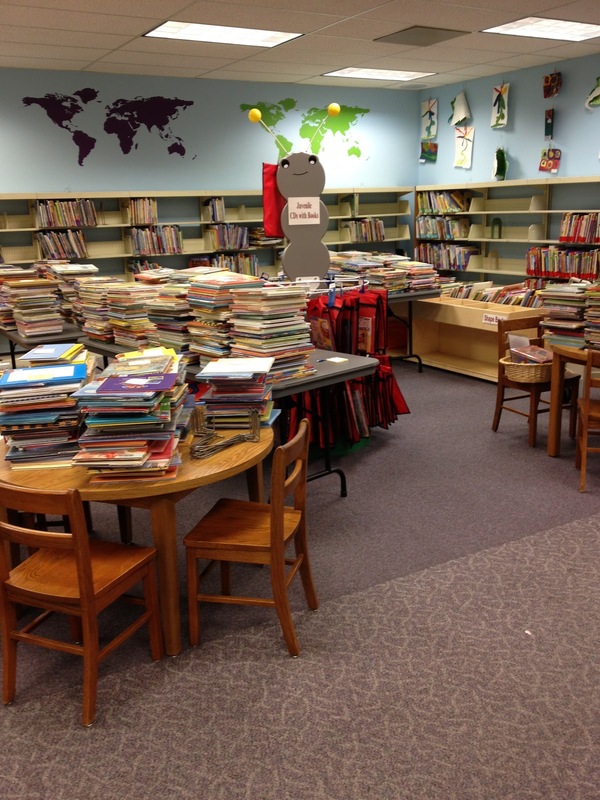 We used LISTEN2000 at the library with the Picture Book City reorganization. Hi Amy- I've seen this idea a couple of different times and I am really ready to go! One of my colleagues brought up the point. 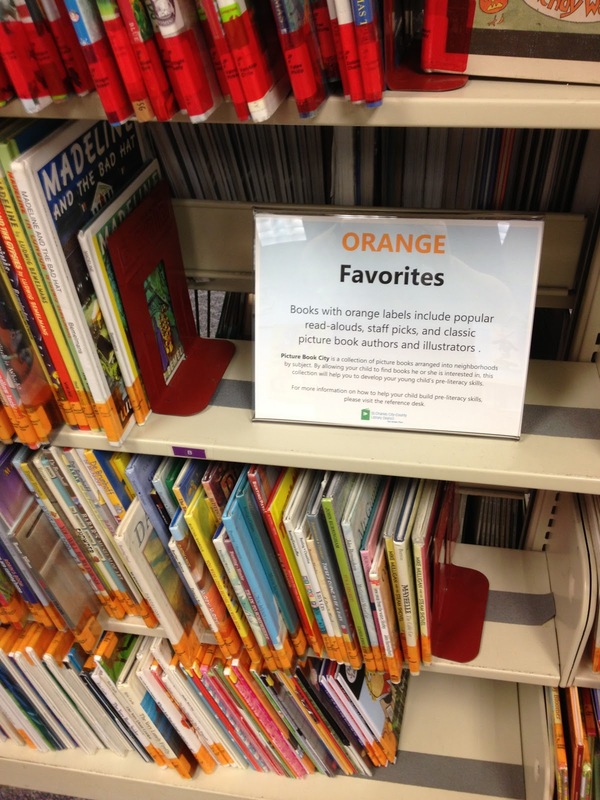 When operating with an Interlibrary Loan system and pulling holds for patrons, how will the staff know what color to find the books in? Or will we just have to take the extra time and deal with it? Mike, even though we didn't change the catalog metadata or call number for each title, we did adjust its location designator in the catalog. So if someone were to look at the book The Butter Battle Book by Dr. Seuss, it would show them the book was in Orange - Favorites, with a call number of SEU. Staff were trained to find items the same as they were for any other collections in the library. What do you do when a book fits into two neighborhoods? For instance a favorite character's Christmas book? And may I ask why you did this instead of just having a typical picture book section with everything shelved by author? We have our videos shelved in different categories and it's the one thing we get the most complaints from patrons about. When a book could fit thematically in more than one neighborhood, we tried to consider where a patron is more likely to be pleased to find it while browsing. So in the example of, say, a major character holiday book--is a patron more likely to be browsing for the character and glad to find a holiday title (probably less so), or browsing for a holiday title and glad to find a familiar character (more so); the reasoning in this case is that a person looking for an Olivia book isn't necessarily looking for a Christmas book, so they're plenty to happy to see all of the non-holiday Olivia options. We pursued this project to make the picture book collection more easily browsable for both caregivers and children who don't yet have reading abilities. We found that the majority of our patrons who went to the shelves on their own wanted to browse for types of picture books, rather than search for a specific one. And a wall with 10,000 picture books in ABC order is not particularly easily browsable, especially for that community. They found picture books much more accessible when they could approach that collection in neighborhoods, knowing that they could head to the yellows if they wanted fairy tales, etc. Likewise, pre-readers who really like a particular type of book--say, transportation books--became empowered to go find "their" books on their own, as they could recognize the brown section as a good starting place rather than just looking at 10,000 indecipherable book spines. Everything in the collection was still 100% searchable, too, so a patron or staff member looking for a specific book would still just look it up in the catalog to find out where it was shelved--within its neighborhood, and then in ABC order from there. Today is the last day to nominate for the Cybils!